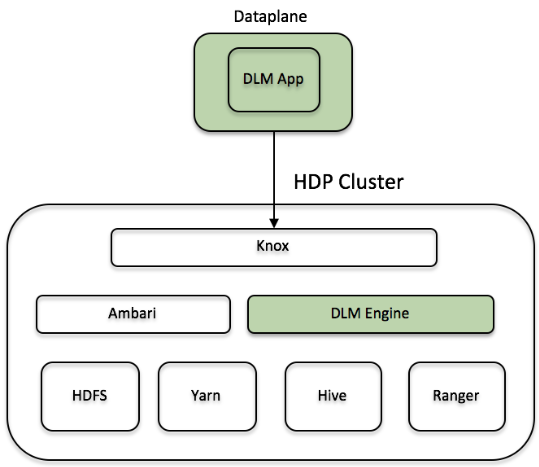 DP Platform and the DLM App communicate with the HDP cluster through Knox. Knox SSO is a required configuration for the DP Platform host. DLM replication also requires HDFS, YARN, Hive, and Ranger on the cluster. Knox Gateway is recommended to protect data being transferred between clusters.